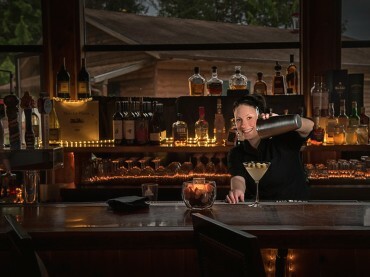 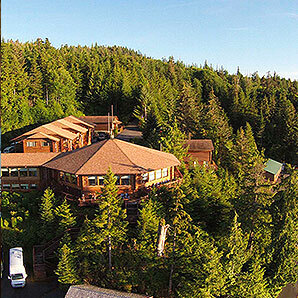 Unlike no-frills fishing lodges and camps with one-dimensional menus, Salmon Falls Fishing Resort is a true, full-service hotel with a restaurant and bar that consistently earn rave reviews from both guests and locals. 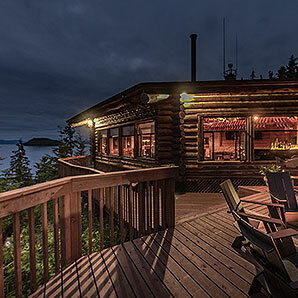 Even first-time Ketchikan visitors delight in slipping away from the city’s bustling cruise pier to savor the solitude and scenery of our incomparably beautiful setting. 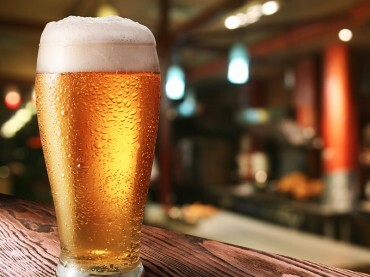 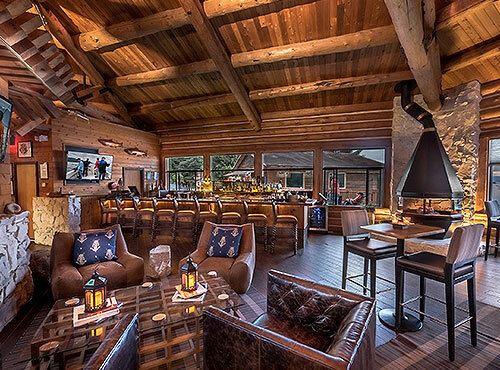 Naturally, the menu highlights an array of Alaskan seafood specialties, paired with regional wines and microbrews. 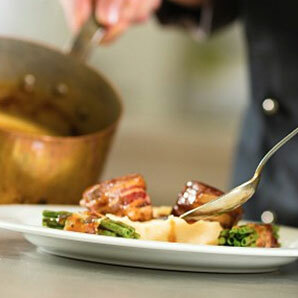 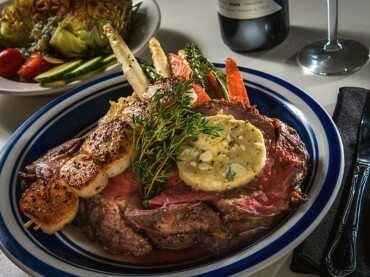 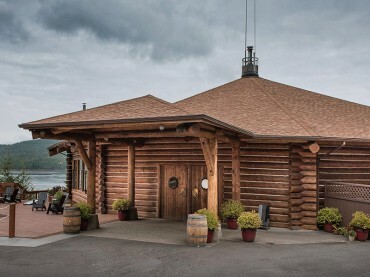 Salmon Falls Fishing Resort’s signature restaurant, The Timbers, is a rustic backdrop for the refined Pacific Northwest cuisine of the resort’s Executive Chef. 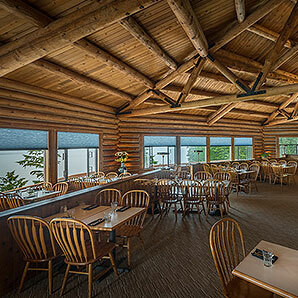 Alaskan seafood plays a starring role on our a la carte breakfast, lunch and dinner menus. 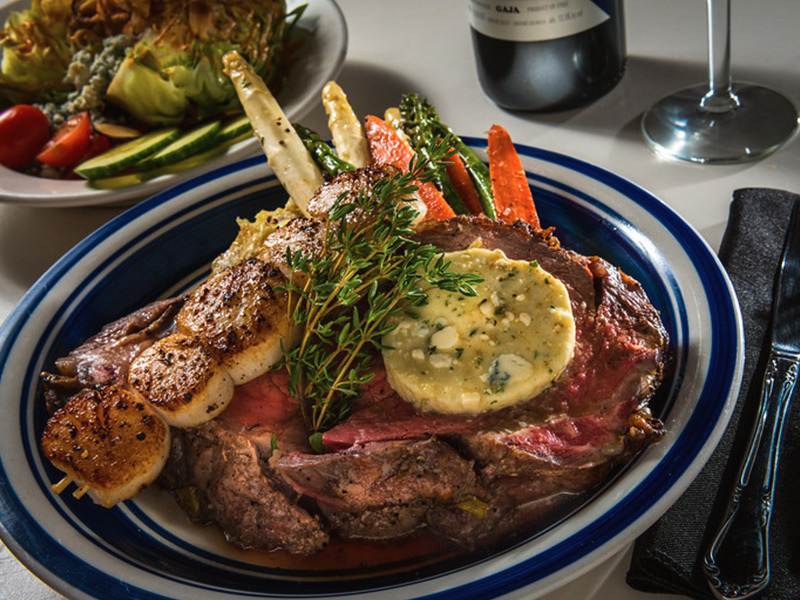 Highlights include Fresh Smoked Salmon, Porcini-Crusted Halibut and Alaskan Seafood Chowder. HOURS: Monday-Saturday | 11:00 a.m. - 10:00 p.m. Sunday 10:00 a.m. - 10:00 p.m. 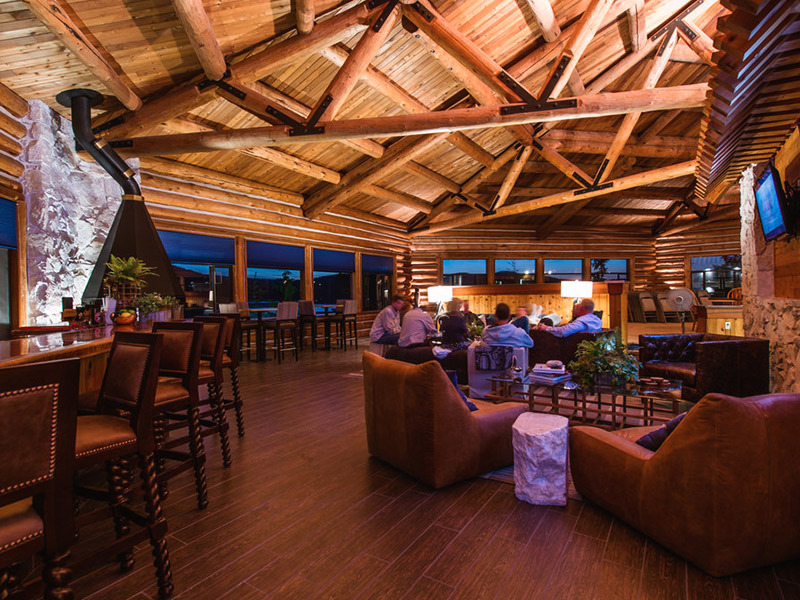 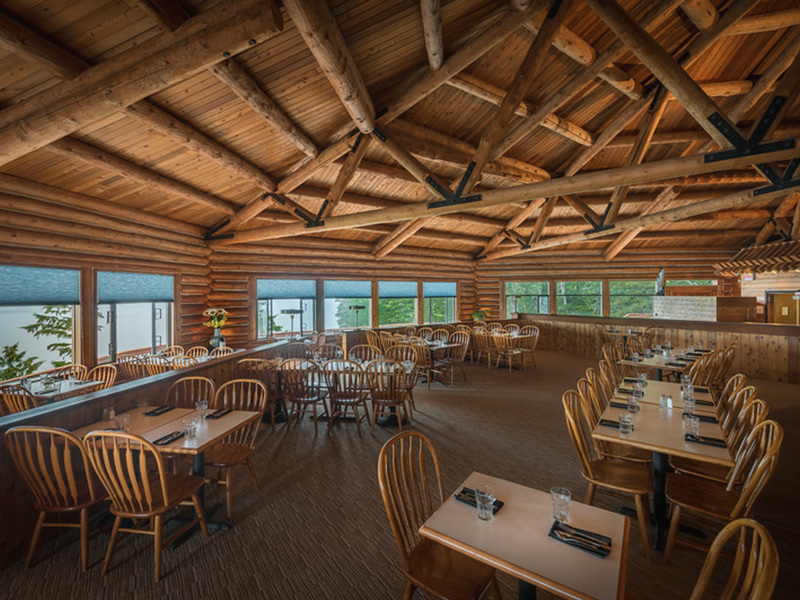 The Tongass Narrows, the Timbers has the feel of being originally built by an early Ketchikan pioneer although it and was remodeled in 2016 to create a more expansive, 4,500-square-foot dining facility capable of hosting 160 guests. 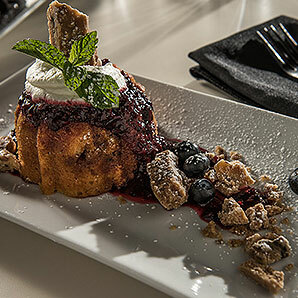 From signature dining to the picturesque lounge, there is something for everyone on our diverse menu and bar selection of top-shelf liquors, regional wines and local microbrews. 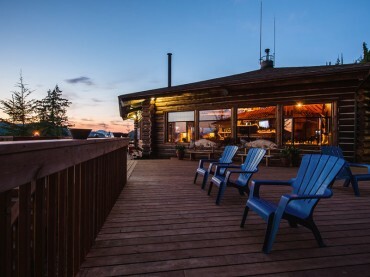 Boasting spectacular views of the bay and overlooking the iconic Salmon Falls waterfall, this is the perfect backdrop for taking in the sights while savoring a custom Alaskan cocktail mixed using the freshest ingredients.